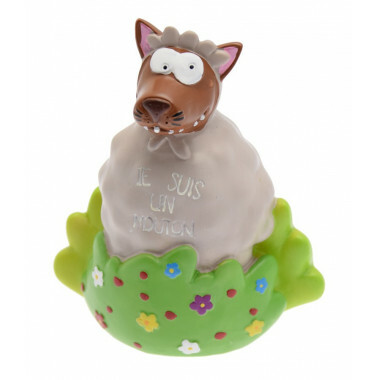 A pretty "mad sheep" money box! The perfect gift for children to stow away their change or small items! This product is made of resin.